With that in mind, I thought I would share some of the unusual posts that I have seen around the block today, let’s see if you can guess whether any of them are true or fake! Is Disney Springs adding Wal-Mart to it’s chain of stores that will be there? Is the Disney Vacation Club axing the plans for the DVC Resort at the Grand Floridian Resort & Spa? 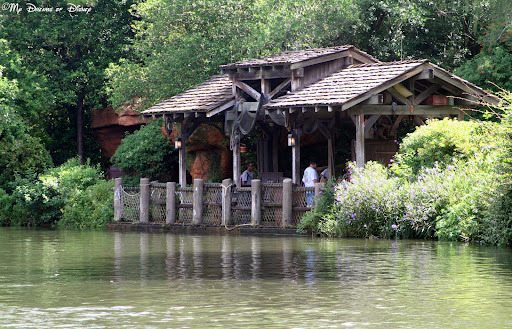 Are High-Adventure Campsites the next in line for DVC? So, no real trivia this week! I hope that’s okay with you all, but please, check out the rest of the posts below for some real Disney Trivia, and thanks for stopping by! 80 Days til Disneyland – Animation Academy! Wow! We have now hit 80 days until our trip to Disneyland! I hope that you are finding these posts helpful in getting a little Disney Magic your way each and every day, and that you don’t think that I am bragging in any way about being able to go to Disneyland. If you feel that way, please accept my sincere apology — that is not my intention! Instead, this is my way of being able to deal with the time between now and when we actually get to go! I am a Blessed man for so many reasons, and being able to go to Disney parks is the least of my blessings! My daughter Sophie loves to draw — as evidenced by looking at her school notebooks (which are supposed to be used for schoolwork, not drawings!) — and I have even had her draw some things for me for the blog before. In my Disney apps post from Saturday night, I shared with you the Disneyland Explorer app — that actually has the Animation Academy built into it that teaches you how to draw Mickey Mouse, Minnie Mouse, Donald Duck, and Goofy! The beauty of the Animation Academy is that they teach you how to draw these same characters and then some — with the help of an actual Disney Artist! Then, when you are done, you get to take the drawing you created with you as a souvenir! Located at Disney’s California Adventure Park, the Animation Academy is only part of the Disney Animation building, so even after you are done at the Academy, you’ll still have plenty of other things to check out as well!